Resale prices for HDB flats continued to fall in 1Q2018, with the resale price index declining 0.8% from the previous quarter, according to HDB data. The number of resale transactions within the same time period also fell to 4,458 transactions compared to 5,738 in 4Q2017, marking a drop of 22.3%. This is a steeper decline than the 0.2% dip in 4Q2017 and marks the latest quarterly decline since 2Q2013. 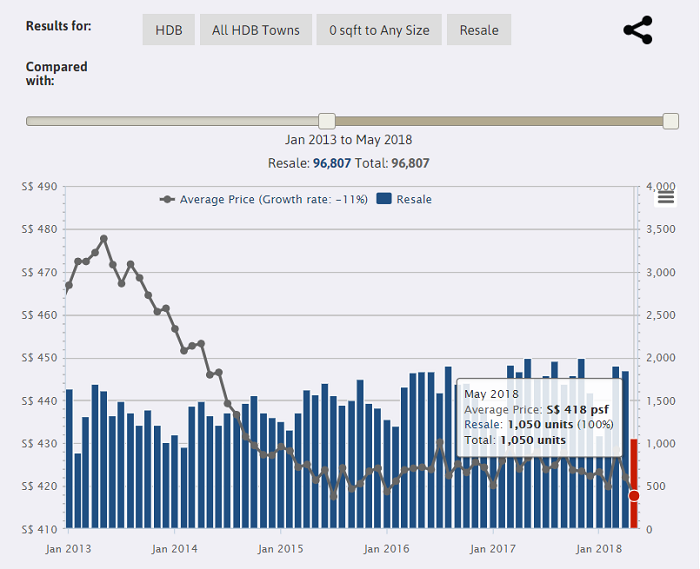 A screenshot from EdgeProp’s Market Trend tool. 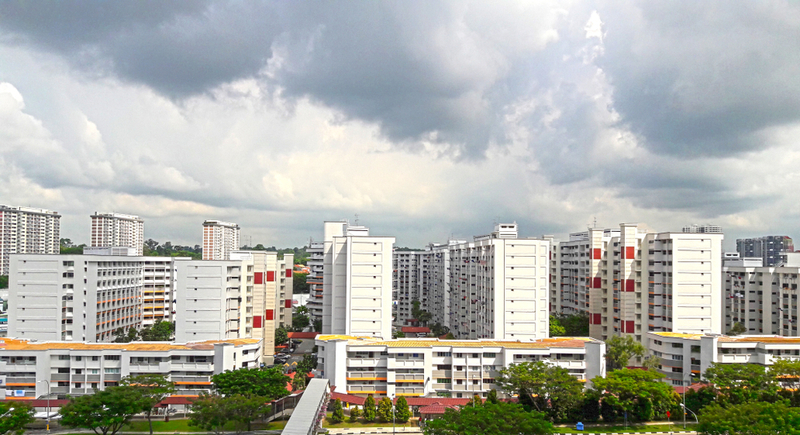 According to HDB data, resale flats that fetched the highest median price in 1Q2018 were tied between four-room flats in the central district and five-room flats in Toa Payoh. Both had a median price of $850,000. This was closely followed by five-room flats in Bishan and five-room flats in Bukit Merah, with median prices of $769,000 and $760,000 respectively. 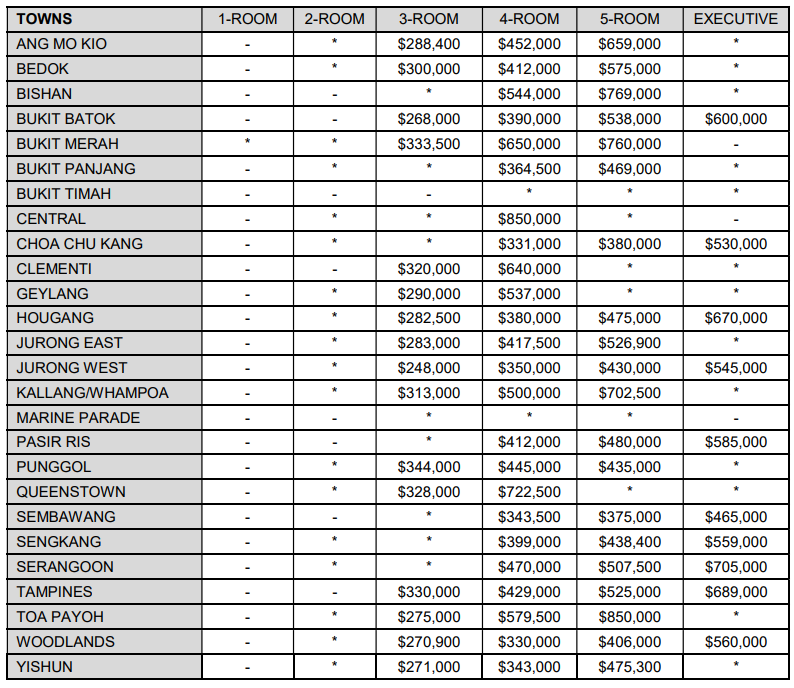 Meanwhile, three-room flats in Jurong West, Bukit Batok and Woodlands were the cheapest, with median prices of $248,000, $268,000 and $270,900 respectively.